After the draw against Parma, Juventus will return to the field tomorrow against Sassuolo in Reggio-Emilia. 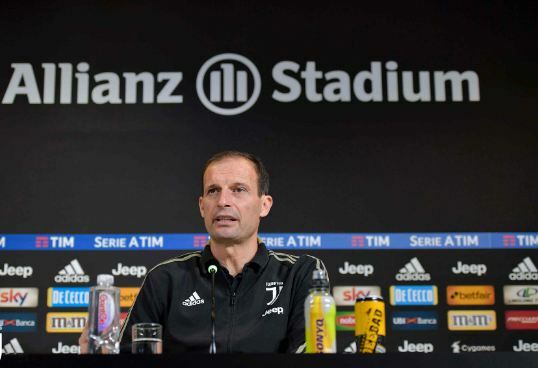 Today, at Allianz Stadium, Massimiliano Allegri spoke about the game in the press conference. “Sassuolo is a team of quality and enthusiam, despite their position on the table. We have to return to winning ways. We have a championship to play and win. When the Champions League arrives, only then will we think about it. Everyone must be at their best phsyical and mental condition,” he said. “Dybala has apologised to everyone and he’s understood that it was not a suitable attitude,” commented Allegri after the Argentine left the substitutes bench during the match against Parma. “Juventus gave him an important responsibility while wearing the No.10. When Chiellini isn’t there, he’s captain. He hasn’t changed his way of playing, what has changed is the way people play around him.